In addition to being a dominant force in smartphones and consumer electronics, LG is also one of the world’s top designers and manufacturers of home appliances. A recent JD Power study ranked LG as the top brand in customer satisfaction for laundry and kitchen appliances. In the dishwasher category LG ranked #1 overall, leading on features, and styling and appearance. 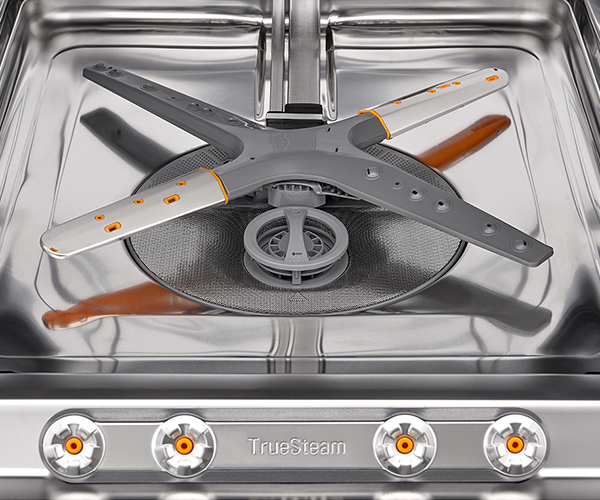 So it should be no surprise that the latest LG QuadWash® and TrueSteam® is another winner. 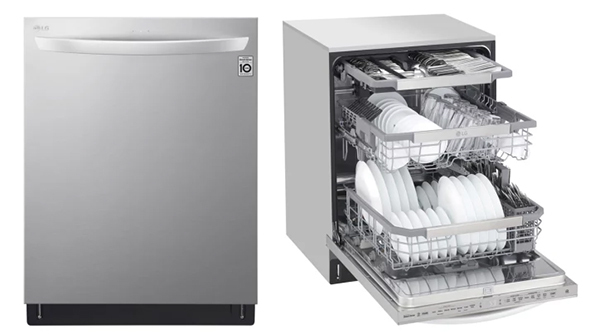 The LG QuadWash® and TrueSteam® dishwasher boasts the latest in operational innovations, and ease-of-use functions. 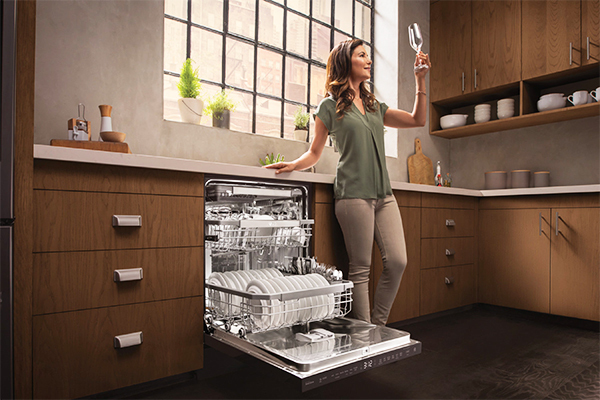 It has two standout features that lend to the dishwasher’s name. LG QuadWash® is a feature located at the bottom of the machine with four spray arms instead of two that cleans dishes from multiple angles. The design ensures maximum cleaning throughout the entire wash cycle with arms that have Multi-Motion action, which rotate back and forth while spinning to optimally power-clean dishes with high-pressure, hot water jets. 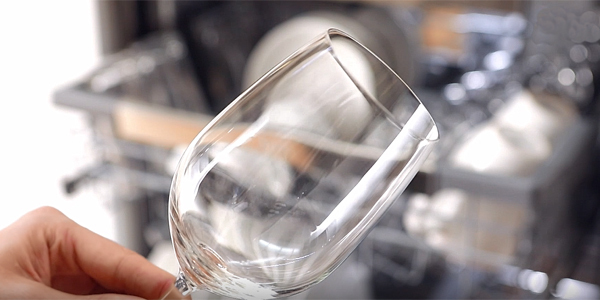 For anyone who has removed wine glasses from a dishwasher and noticed annoying water spots, LG’s TrueSteam® feature will be a joy to discover. This proprietary feature is a 4-jet on-the-door design for maximum steam coverage that eliminates the need to pre-wash dishes and reduces water spots significantly. It also penetrates every corner of your dishes to sanitize them better than ever. LG TrueSteam® enables gentle cleaning for fragile items like your favourite stemware, but can also be put to work for heavy duty cleaning. The combined power of LG QuadWash® and TrueSteam® lets you clean your dishes right the first time saving both time and money. The newly-enhanced EasyRack™ Plus system provides convenience and flexibility allowing you to shift to nearly any load configuration to ensure optimal cleaning. A height adjustable 3rd rack enables even more flexibility. Glide rails and ball bearing wheels make heavy loads slide in and out with almost no effort. The LG Inverter Direct Drive Motor is designed to be quiet, as well as powerful and energy efficient. It has fewer moving parts, making it both reliable and quieter (up to 42dB). This feature is especially fabulous in smaller spaces. Check on your dishes remotely with LG’s SmartThinQ® app technology! Did you remember to turn the dishwasher on? Are the dishes done? With the app, you can control the dishwasher and even use voice commands with Google Assistant creating the next level in your smart home environment. There are several useful wash options including the Turbo Cycle which cleans heavily soiled dishes in an hour and the Express Cycle that cleans lightly soiled dishes in just over half an hour. Drying modes include Extra Dry which adds more drying time to a cycle and raises the rinse temperature, and Night Dry which runs a ventilation fan periodically to remove any condensation that might accumulate on dishes, leaving them perfectly dry and spot-free in the morning. As the leading brand for appearance and styling, it’s no surprise this LG dishwasher impresses with an appealing minimalist design and modern look for today’s kitchen. We are fans of the stainless tub design and the LED tub light. Of course, as with other LG appliances, it is Energy Star® rated, which means that it uses less energy and is among the most energy-efficient dishwashers in its class. Time for a new dishwasher? 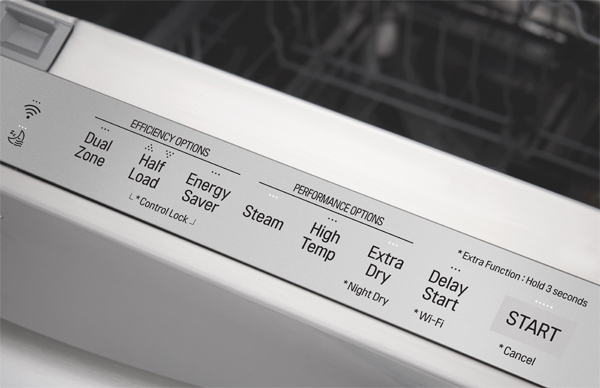 The LG QuadWash® and TrueSteam® should be at the top of your list. Delivering superior performance yet gentle care, you can expect sparkling clean dishes and glasses with every load. 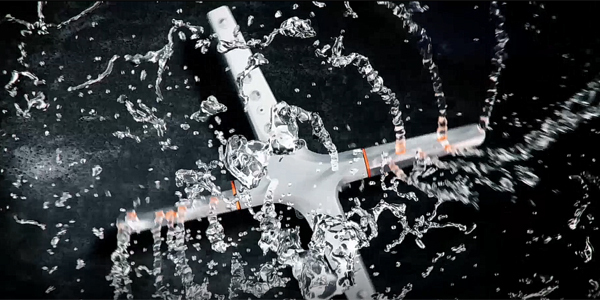 The four-spray arm washing unit and steam feature make a difference you’ll notice. This post has been produced in partnership with LG Electronics Canada Inc.
DID YOU KNOW? The Dishwasher was invented by a woman!